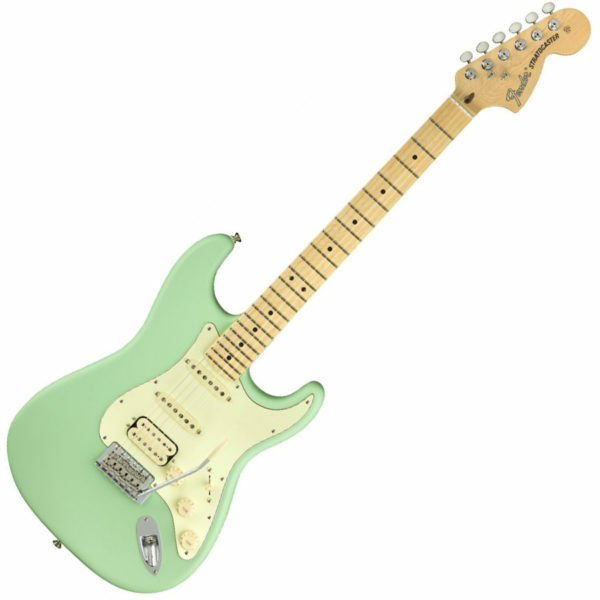 Fender American Performer Stratocaster HSS Satin Seafoam Green Maple Fretboard – A modern expression of the solidbody electric guitar that started it all, Fender’s American Performer Stratocaster delivers the latest in US-made quality and value. 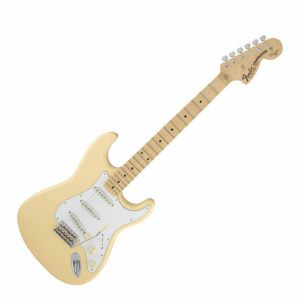 The American Performer Stratocaster HSS boasts a massive tonal range. 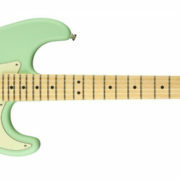 A duo of Fender Yosemite single-coil pickups — with flat-staggered pole pieces to increase output — serve up classic Strat spank and sparkle, while a hot DoubleTap humbucker simmers at the bridge, ready to sizzle your solos. A push-pull tone knob lets you split the bridge pickup, opening up an extended range of single-coil tones. The second tone pot engages Fender’s Greasebucket master tone circuit, which rolls off highs without reducing gain. 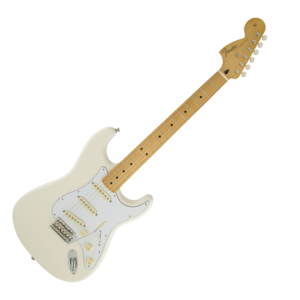 Not to be overshadowed by its innovative electronics, the American Performer Stratocaster, naturally, features the outstanding comfort and playability you expect from a Fender Strat. 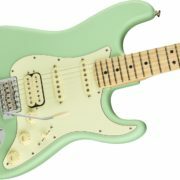 Fender American Performer Stratocaster HSS Satin Seafoam Green Maple Fretboard - A modern expression of the solidbody electric guitar that started it all, Fender's American Performer Stratocaster delivers the latest in US-made quality and value. 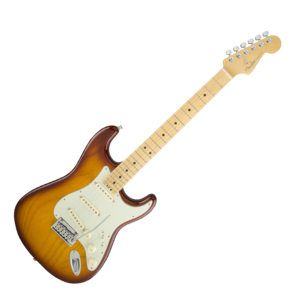 The American Performer Stratocaster HSS boasts a massive tonal range. 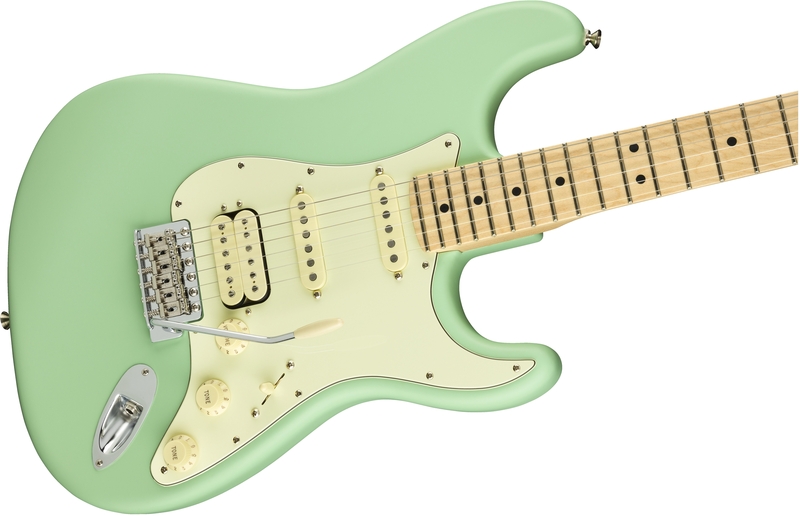 A duo of Fender Yosemite single-coil pickups — with flat-staggered pole pieces to increase output — serve up classic Strat spank and sparkle, while a hot DoubleTap humbucker simmers at the bridge, ready to sizzle your solos. 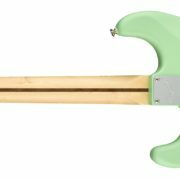 A push-pull tone knob lets you split the bridge pickup, opening up an extended range of single-coil tones. 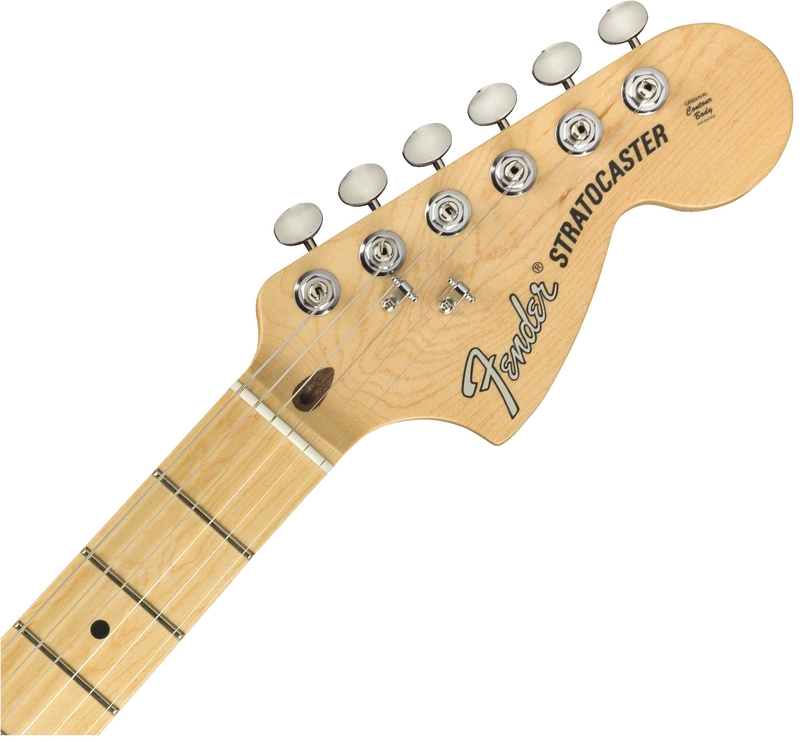 The second tone pot engages Fender's Greasebucket master tone circuit, which rolls off highs without reducing gain. 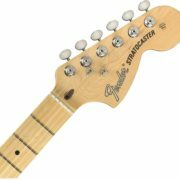 Not to be overshadowed by its innovative electronics, the American Performer Stratocaster, naturally, features the outstanding comfort and playability you expect from a Fender Strat.